Sunday marked the final day of the 2015 regular Major League Baseball season. Which, figuratively speaking, meant all 30 clubs used their might to push the sun back up into the sky and give us one more day of summer. Even though it was a blustery October day. The baseball world also learned the layout of this year’s postseason; who’s in the dance and who’s not. After days of waiting, we now know the Yankees will host the Houston Astros at 8:08 p.m. on Tuesday in a do-or-die Wild Card game. The defending American League champions and winners of the American League Central division, the Kansas City Royals, will take on whoever emerges victorious Tuesday night. The road is going to be anything but easy for the pinstripers, who in terms of the playoffs, aren’t on the outside looking in for the first time since 2012. But the playoffs start Tuesday. 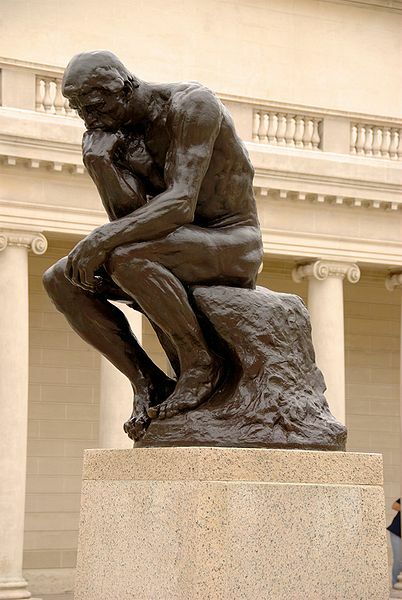 Now is yearly time for regular season reflection. 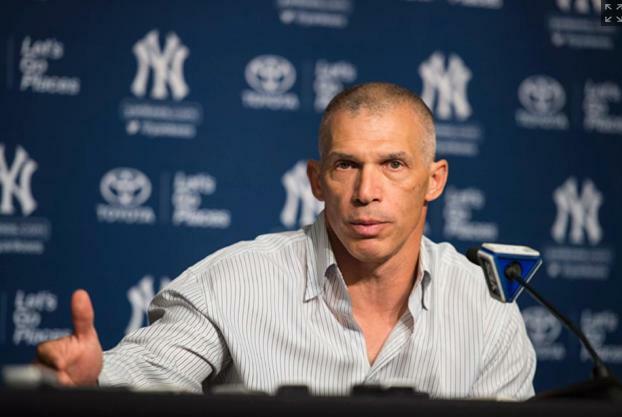 A chance to tout the achievements of the 2015 Yankee team. 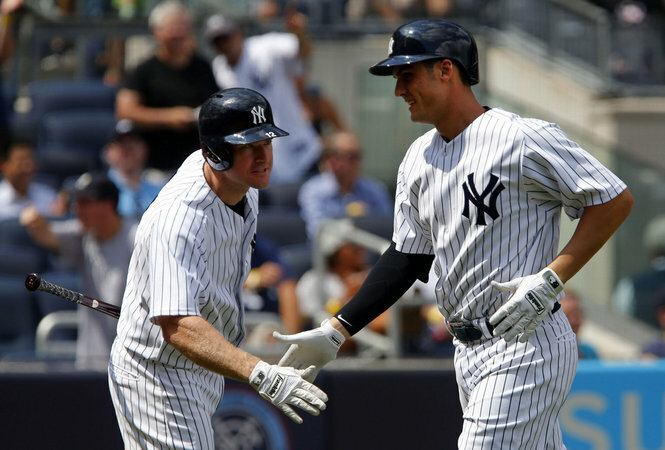 Greg Bird flew in on Aug. 13, and could not have landed at a better time. 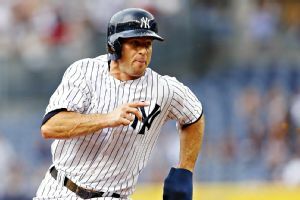 Four days after he was promoted to the big club, first baseman Mark Teixeira fouled a ball off his leg and was injured. Bird was thrust into the role of everyday first baseman, and to say the least, he rose to the occasion and produced. In his short time with the club (45 games), Bird knocked in 30 runs, slugged .523 and generated an on-base-plus-slugging percentage of .862. What’s more, he flexed his muscles with 11 homers. This writer, in fact, saw one of those round-trippers live on Sept. 7, when he crushed a home run in the Yankees’ 8-6 win over the Baltimore Orioles. The 22-year-old Bird truly soared like an eagle since his arrival. And if the Yankees want a deep run in the postseason this month, he really must spread his wings. The type of season Alex Rodriguez put together was nothing short of remarkable. Perhaps the most stunning aspect of his 33-home run, 86-RBI campaign is that no one predicted it. If you would have asked even the staunchest proponent of A-Rod’s at the beginning of the season, they likely would have said his ceiling was 20 homers and 55 RBI. Rodriguez not only proved the naysayers (including this writer) wrong, but he did so in historic fashion. On May 7 Rodriguez passed Willie Mays on the all-time home runs list, mashing a tater off Chris Tillman of the Orioles. A month and 12 days later, Rodriguez blasted a first-inning home run off Justin Verlander of the visiting Detroit Tigers. It was his 3,000th career hit, and only the third time in baseball history (behind Wade Boggs and Derek Jeter) a player hit the ball into the stands for his 3,000th career hit. Rodriguez also set an AL record for most career RBI, passed 2,000 career RBI, and passed Roberto Clemente on baseball’s all-time hits list. Oh, and with three homers in one game against the Minnesota Twins on July 25, Rodriguez became the fifth-oldest player to hit three homers in a single game. Some possible attribution to Rodriguez’s success: making him, at age 40, the full-time designated hitter. That decision by the Yankees has paid dividends. Rodriguez appearing in 150 games this season is proof of that. Either way, the type of season he had – I’d call that a comeback. A comeback with a vengeance. Admit it. You thought Masahiro Tanaka’s elbow was going to fall off. 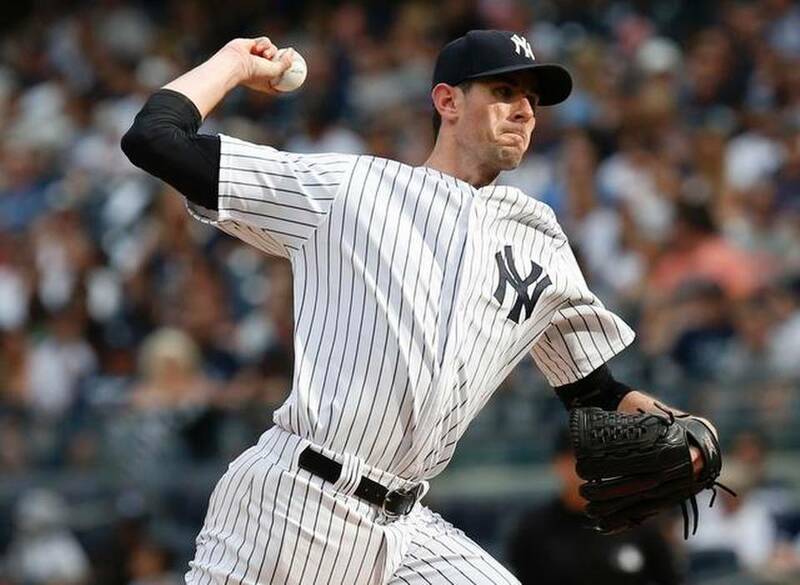 Last summer when it was revealed the Yankees’ big-ticket starting pitcher had a partial tear of his ulnar collateral ligament in his pitching arm, most Yankee fans panicked. They feared the three words that are as common as a routine fly ball in this day and age: Tommy John surgery. 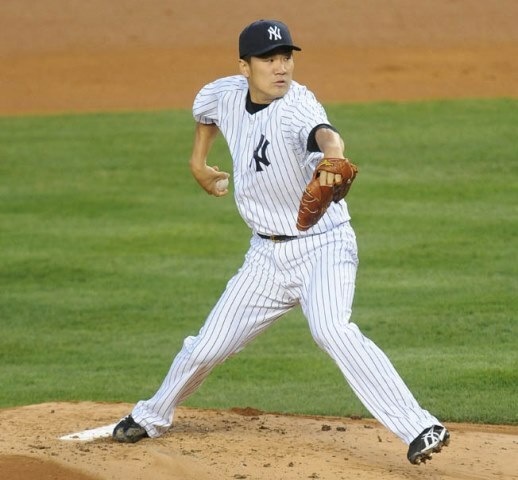 Tanaka opted to treat his tear with a platelet rich plasma injection, and came back to pitch in 2014. Before the season began, Yankee manager Joe Girardi said he expected Tanaka to make 34 starts. Skip’ was 10 numbers off, as Tanaka made 24 starts. Forearm and wrist soreness sidelined him early in the season, plus when the opportunities arose, Girardi rested him. Despite missing those 10 games and spending time on the disabled list, the man from Japan proved to be pretty effective when he needed to be. On Sept. 13 in particular, he hurled seven shutout innings in the Bronx as the Yankees blanked the Toronto Blue Jays, 5-0. Although Toronto went on to win the AL East, the game was important in terms of staying in the race for the division title. Against those same Jays at Rogers Centre on Aug. 15, Tanaka put on a virtuoso performance. 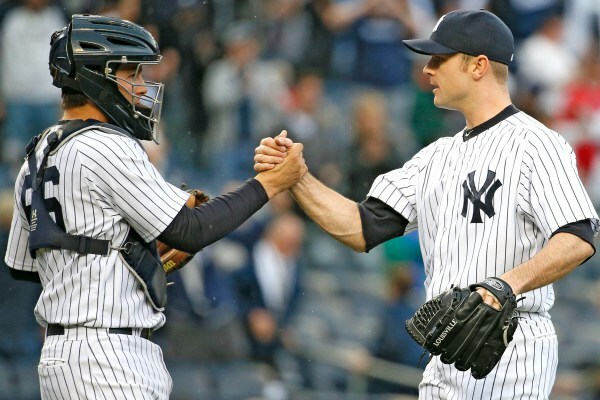 He tossed a complete game five-hitter, and the Yanks beat the Jays, 4-1. 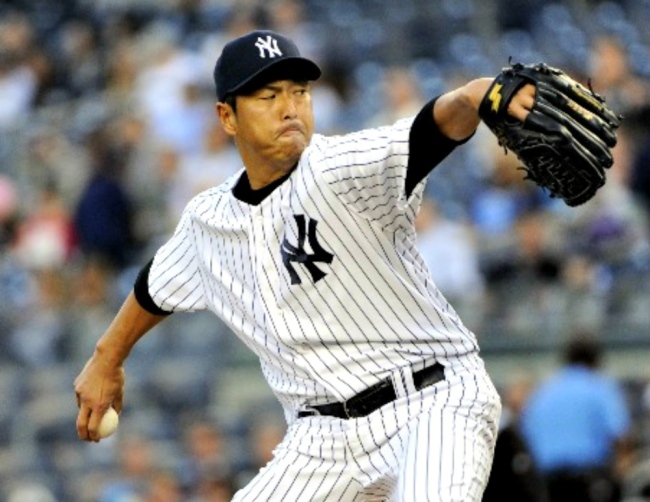 Tanaka’s won-lost record isn’t reflective of a very dominant season: 12-7. His season earned run average wasn’t bad, but not the lowest number out there: 3.51. He gave up 25 home runs over the course of the year, which in the eyes of many armchair managers, is probably too many. But he gave the Yankees 150-plus innings. 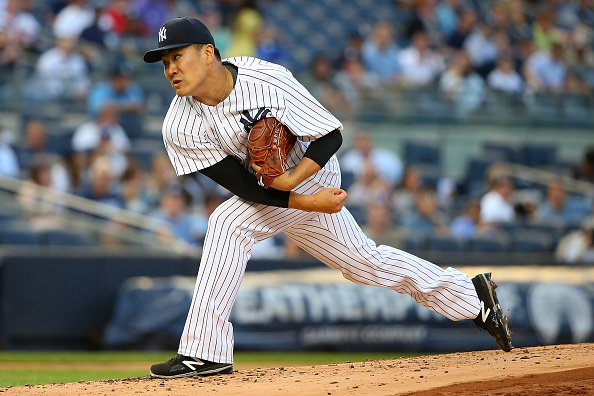 Tanaka kept the ball in the strike zone by fanning 139 hitters – and only issuing 27 walks. He performed when they needed him to perform. 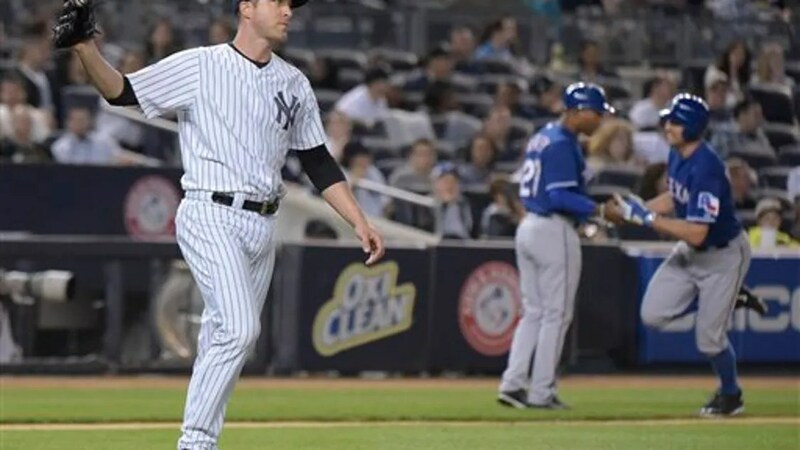 The Yankees suffered a devastating blow on Aug. 17 when Mark Teixeira fouled a ball off his leg. The first baseman sustained a fracture, and the injury –a freak injury, at that – ended his season. But before he was forced to watch the rest of the 2015 from the bench, Teixeira was raking. He crushed 31 homers and drove in 79 runs. He was on pace to smash 40 or more homers, drive in over 100 runs and analysts put his name and the term “American League Most Valuable Player” in the same sentence at certain times. The injury may have negated it all, but make no mistake about it: Teixeira played well. 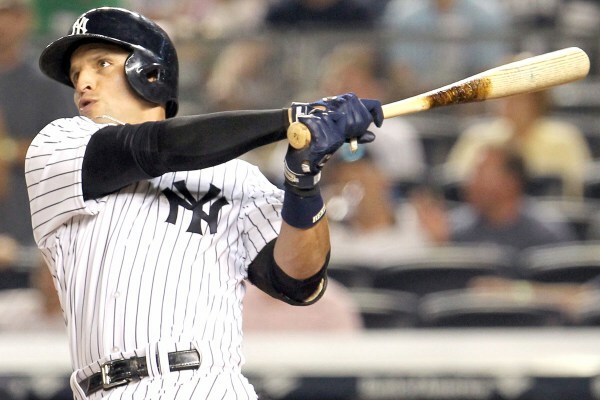 Carlos Beltran on the other hand avoided major injuries, and turned on the jets during the second half of the season. After the All-Star break, Beltran clubbed 12 of his 19 home runs. He finished with 67 RBI, 37 of which came after the midway point. Beltran’s best may be yet to come, as he’s a well-known stud in the playoffs. So much so, in fact, that he’s earned the nickname “Senor Octubre” among some folks. In the postseason, Beltran is a lifetime .333 hitter with 16 homers and 40 RBI. He’s also scored 45 runs, slugged .683 and owns a .445 on-base percentage. In less than 48 hours we’ll see if he delivers, but he went out with a bang: three hits in the Yanks’ 9-4 loss to Baltimore in the season finale Sunday. Although he’s been struggling of late, Dellin Betances was as consistent as they come this year. 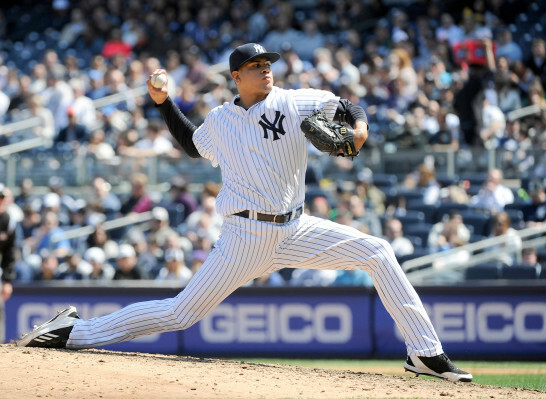 An almost automatic eighth inning shutdown machine, Betances struck out 131 hitters in just 84 innings pitched. Of those 84 innings, he only allowed 45 hits. However, his walk total was a bit high: he issued 40 free passes. But most of the time, he was able to wiggle out of danger. Case in point: Sept. 7. Betances walked the first three he faced, but bounced back to strike out the next three in order. What’s more, he showed maneuverability. Betances took on the closer role when needed, and saved nine games. The formula was simple. A song with a statement played, the closer came in and then slammed the door. The words heard each time Andrew Miller came in to finish off the opposing team. Fightin’ words. One might even say words a little harsher than the lyrics to “Enter Sandman,” used by Mariano Rivera, one of Miller’s predecessors. Harsher words, perhaps, but when the sweet sounds of Johnny Cash came blaring through the Yankee Stadium speakers, you knew the game was over. Miller saved 36 games in 38 opportunities this season, striking out 100 batters in 61 2/3 innings. He held opponents to a .151 batting average, and tested hitters while attacking them. A tactic Troy Tulowitzki knows about. On Aug. 14 with the game on the line, the Blue Jays shortstop stood between the Yankees and a pivotal win. It took 12 pitches and the dramatic at-bat put the baseball world on the edge of its collective seat, but Miller got the job done. His whiff of Tulowitzki was one of the most clutch performances of the season, and one of the many examples of how valuable he truly was. 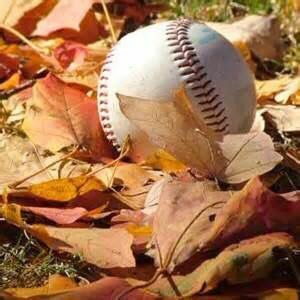 The world – not just the baseball world, the world in general – lost a treasure the morning of Sept. 22. Lawrence Peter “Yogi” Berra, the Yankees’ famed catcher and legendary philosopher, passed away at the age of 90. Berra won the most World Series of any player in history with 13 (10 as a player, three as a coach). He smacked 358 home runs and possessed a lifetime batting average of .285. It’d be easy to sit here and write out every noted accolade Berra amassed over the course of his career. But let’s talk about the man for a second. Let’s mention how in love he was with his wife Carmen, and his family. Let’s mention how he served our great country as a gunner’s mate in the United States Navy during World War II. Let’s mention how his wit and easygoing personality impacted everyone around him, even those he didn’t personally know. His fantastic “Yogi-isms” will be a part of our culture forever. Our millennial generation can now pass on his wisdom. The next era needs to know that you can observe a lot by watching, and that baseball is 90 percent half mental. 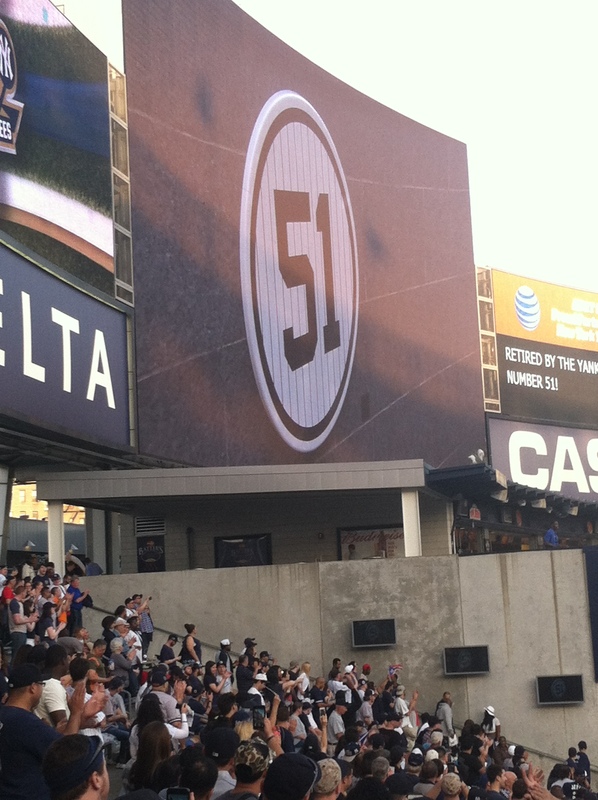 The YES Network publicly aired Berra’s funeral – a beautiful sendoff for a beautiful man. I noticed the gospel passage, which was elegantly read by Cardinal Timothy Dolan, was the same gospel passage read at my grandfather’s funeral on April 15 last year. John 14:1-7, a reading that explores comfort in a time of impending sadness. Again, fitting. Grandfathers have a way about them, brightening the lives of their grandchildren. How many lives has Berra illuminated with his wit and charm? 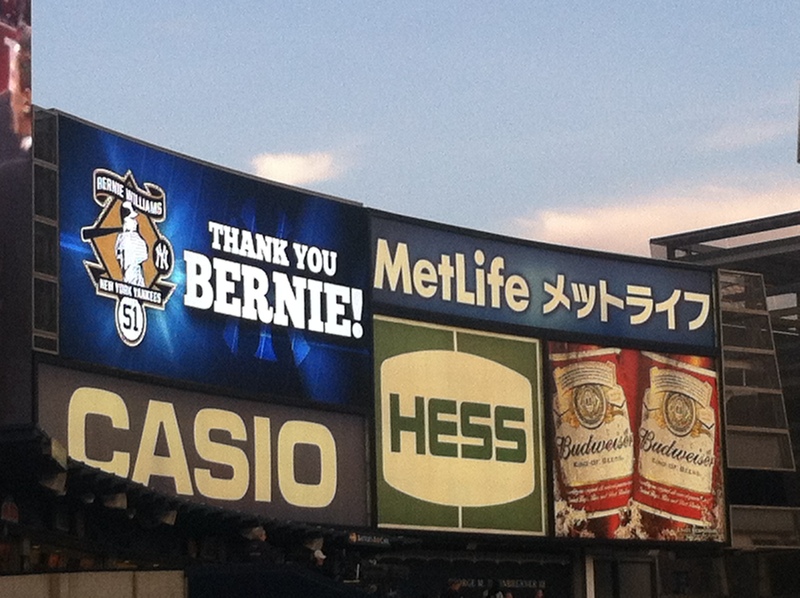 Berra has a prime seat in Heaven now for the postseason. Maybe the proverbial fork in the road is the World Series. Go ahead, Yankees. Take it. Perhaps it’s just for fun. Maybe it’s a way to ease the stress of what’s to come: one game to decide who gets the American League Wild Card. Either way, the YES Network proved its genius with “Yankees Feud,” a variation of the famed “Family Feud” game show. 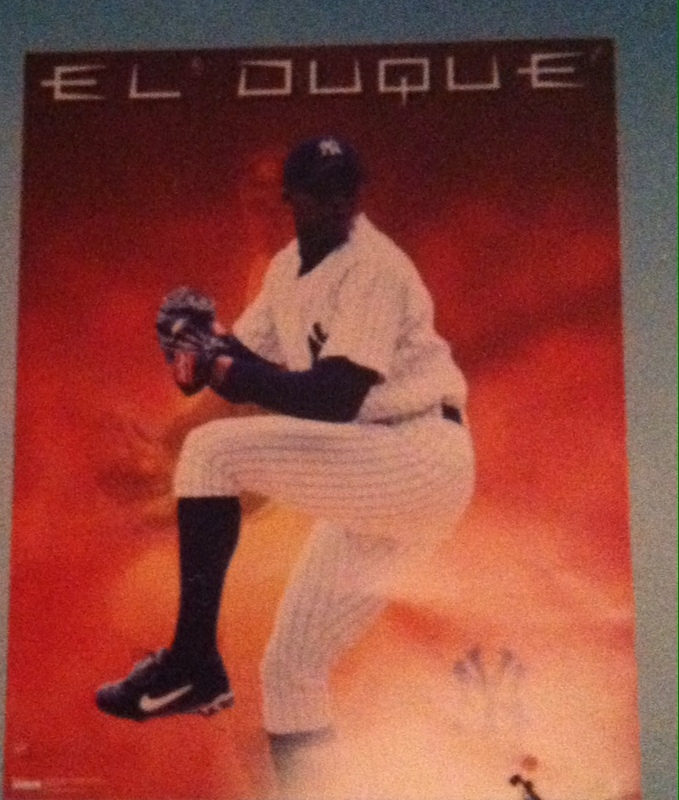 When I was a kid I had an Orlando “El Duque” Hernandez poster hanging on my wall. To me he was one of the most unique pitchers the Yankees had, with his unorthodox leg kick and wild arm angles. 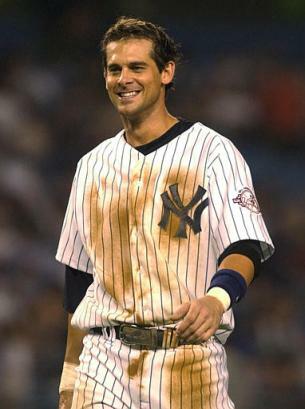 The fact that he dominated opponents and led the Yankees to victory countless times also made me take a liking to him. This past Tuesday, ESPN ran its 30 for 30 piece on El Duque and his brother Livan Hernandez entitled Brothers in Exile. There was so much more to the two brothers from Cuba that met the eye. For anyone that missed it or didn’t care to watch it, here’s (sort of) a BuzzFeed style article filled with did-you-knows and tidbits from the documentary. They share the same father, but not the same mother. Their father was a semi-pro pitcher, so you have to figure the baseball genes were passed down. 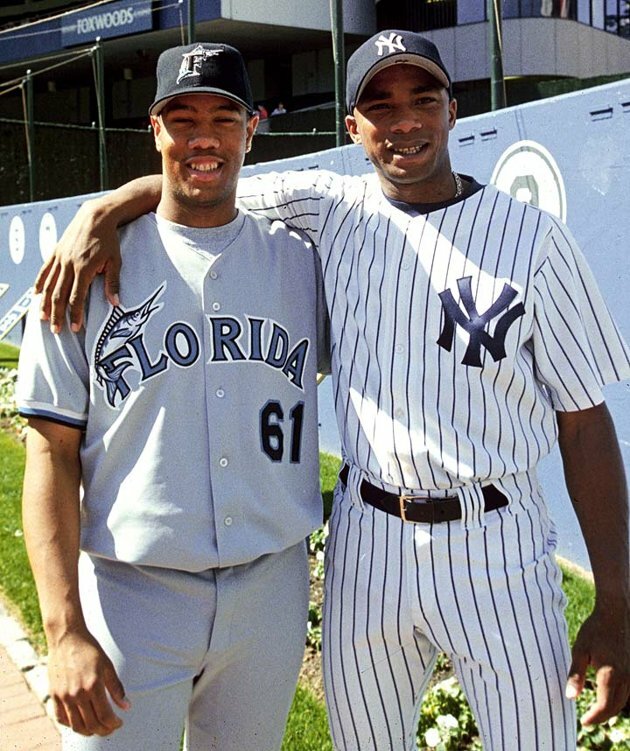 Orlando is 10 years older than Livan, and the two didn’t meet until Livan was five years old. Long before Orlando Hernandez was fooling MLB hitters he was a stud in his native land, Cuba. He racked up 126 wins in the Cuban league throughout his career. His winning percentage was .728, good enough to give him the record for highest winning percentage by a pitcher – a record that still stands today in Cuba. Orlando pitched for the Industriales, a team much like the Yankees. The Industriales had the best players, were tremendously successful, and maintained a huge fan base. What’s more, Orlando pitched for the Cuban national team from 1988-95. During that span, the team was undefeated in international play. Becoming a superstar, as it was, Orlando went to visit Livan in school in later years. 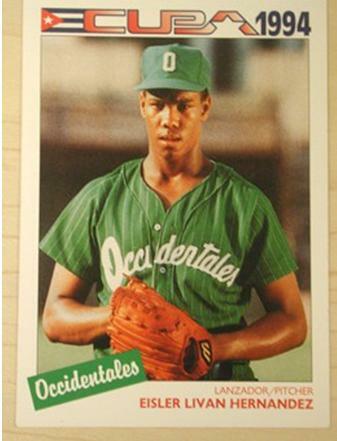 Livan’s classmates went insane; “fan-boyed” for his brother, because he was the best pitcher in Cuba. 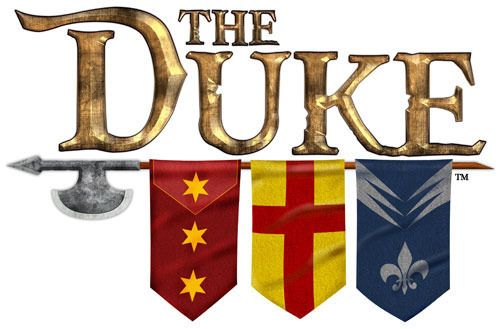 He was the Duke of Havana. El Duque. Cuba was economically dependent on the Soviet Union up until 1990, when the Soviet Union dissolved. Fidel Castro, the Cuban President, declared a “special period” on the island, although the only aspect of this period was poverty – and there is nothing special about that. 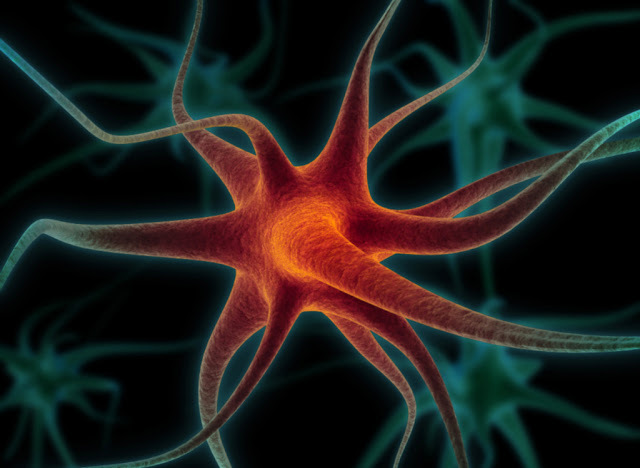 The special period didn’t just impact regular folks; baseball players were affected too. Orlando was paid three Cuban pesos per game, and if he played a doubleheader, he was only compensated for one game. “That was tough,” El Duque described. To combat poverty, ballplayers strived to play for the international team. That way, they could compete overseas and sell their jerseys for money, as well as accept gifts from fans in private. Players had to accept favors privately, because taking from fans was not permitted. Resources were so scarce that Livan had to take soap and shampoo from hotels to bring back home. 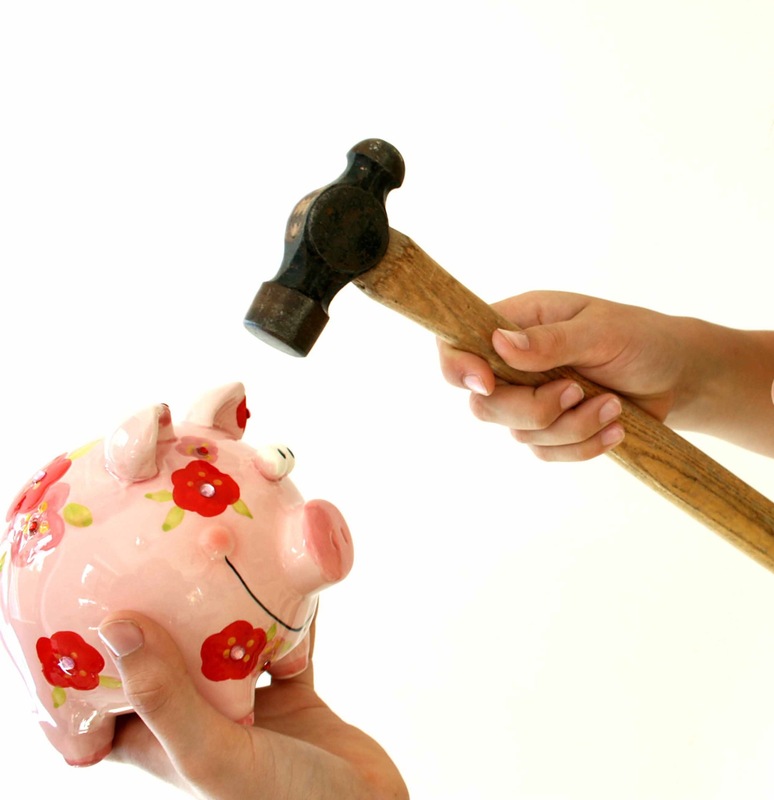 By 1994 the special period morphed into an economic crisis. Tons of people started leaving Cuba on makeshift rafts and boats, in hopes of reaching the United States. 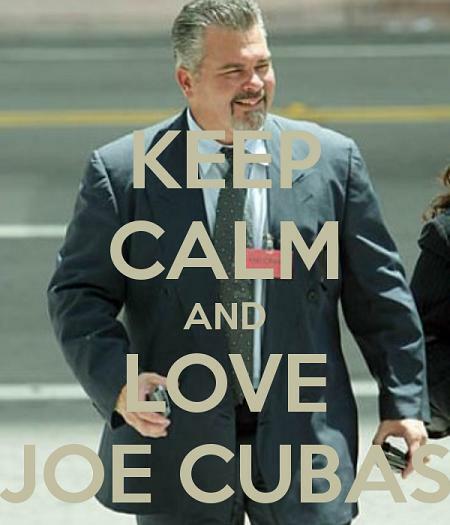 A man by the name of Joe Cubas was the agent that recruited players to defect to the United States – and yes, it is indeed ironic that his last name is Cubas and he dealt with Cuban ballplayers. 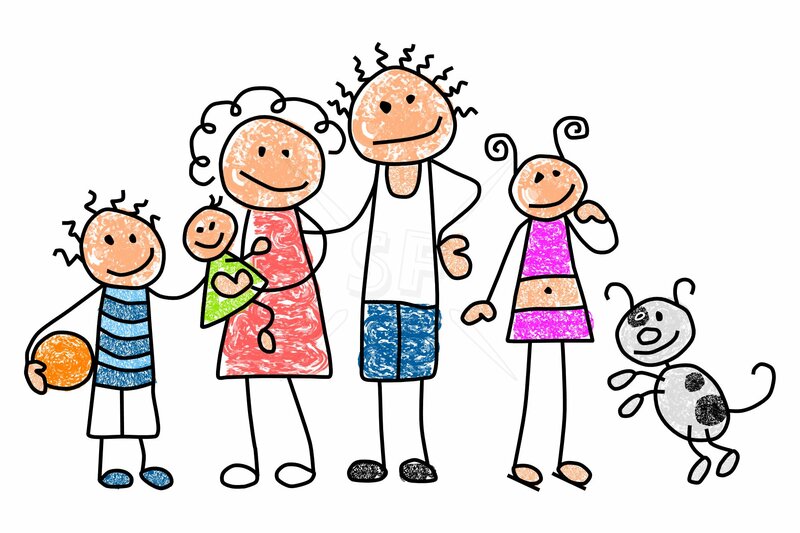 Orlando’s family was a priority. He had a wife and two daughters who he’d lose if he defected. Livan on the other hand was single and was growing tired of the poor conditions in Cuba. 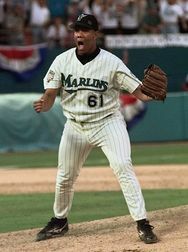 In 1995 Livan was pitching for the Cuban national team. The Cubans went over to Japan to work out with the Tokyo Giants; Livan spent 45 days there. Of those 45 days (along with baseball) he spent 20 collecting soap and shampoo to bring back home. Security told him, though, that if they found anything that he was trying to sneak back to the island in his suitcase, he’d no longer be allowed to travel. He had to throw away all the soap and shampoo he’d gathered – which made him angry. “I don’t want to go through this, anymore,” he said. On the next trip – which was to Monterrey, Mexico – Livan started the process of defecting. He obtained Cubas’s phone number from a woman asking for autograph, which just goes to show how strict conditions were. Everything had to be done discreetly. Livan was picked up by Juan Ignacio Hernandez in Monterrey and went to the Dominican Republic from there. In the D.R. all he had to do was gain residency in order to become an MLB free agent. He did just that, and was on the board. In the Dominican Republic Livan was showcased and sought by the (then) Florida (now) Miami Marlins. A few other teams were watching him, namely the Yankees (shocking, right?) and the Toronto Blue Jays. Coming from Cuba, the Marlins made the most sense. Miami is a Spanish-speaking city and Livan would likely be most comfortable there. The right-hander signed for $6.5 million with a $250,000 signing bonus. At the time it was the biggest contract given to a Cuban baseball player. Livan never had money before. When he came into the big bucks on account of the contract, Livan bought cars and lived the lifestyle most young, rich and foolish people live; spending money on expensive material. 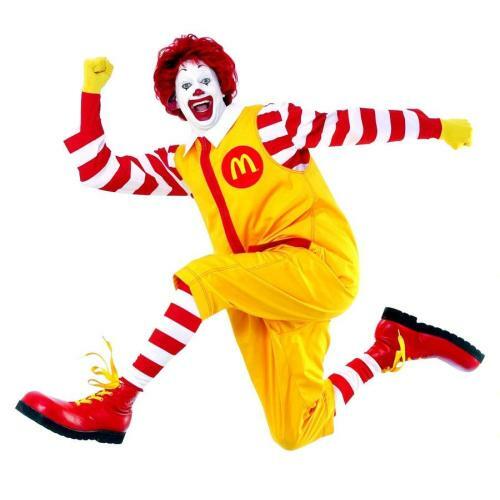 He also started gaining weight; eating at fast food joints such as McDonald’s. The Marlins kept Livan in the minors for the bulk of the 1996 season as not only way of getting him to shape up, but also a way to spread some discipline on him. It worked. Livan eventually wised up and everything panned out for him. The Cuban government began to feel Orlando might follow in Livan’s footsteps and defect, even though Orlando had a family and made it clear he was afraid to defect. It didn’t matter. He was harassed by Colonel Mesa – the man in charge of security for the national team. 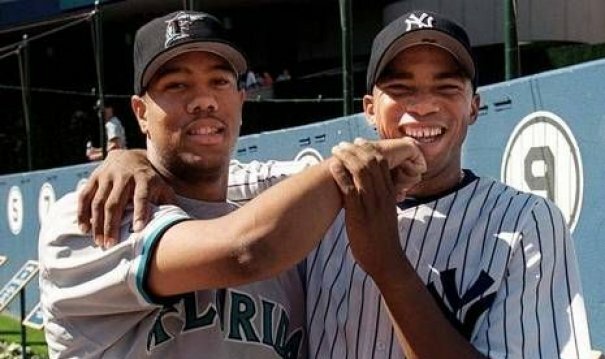 El Duque told Mesa he didn’t support his brother’s decision (in contrast to what he told Livan) but nonetheless he respected him. After that, Orlando started to suspect something was up. Juan Ignacio Hernandez cut ties with Cubas, and got arrested for holding false travel documents, hoping to use them to get Orlando to defect. Police found the fake visas and they turned their attention to El Duque. In fact, they brought him in and interrogated him. The government wanted Orlando to testify against Juan Ignacio Hernandez, but he wouldn’t do it. Yet, even without El Duque’s testimony, they sentenced Juan Ignacio Hernandez to 15 years behind bars. 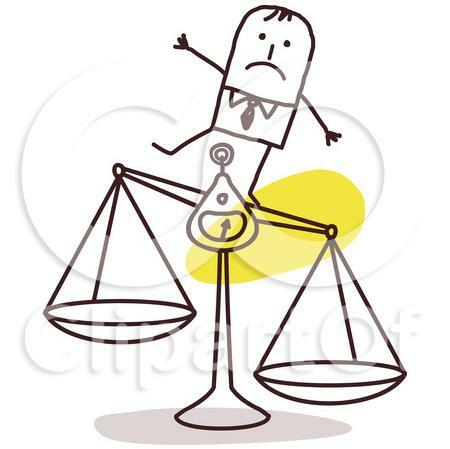 El Duque was also sentenced, but not to serve prison time. He was given a lifetime ban from Cuban baseball, essentially for not doing anything. Orlando’s feelings were not just hurt; they were shredded and left for dead. When he was banished, he vowed that he would play baseball again. It didn’t matter if “he was 65 or in Haiti,” he said he was going to play baseball again no matter what. Since he couldn’t step foot on an official field, like the Estadio Latinoamericano in Havana, El Duque played in unofficial pickup games on Cuban sandlots. 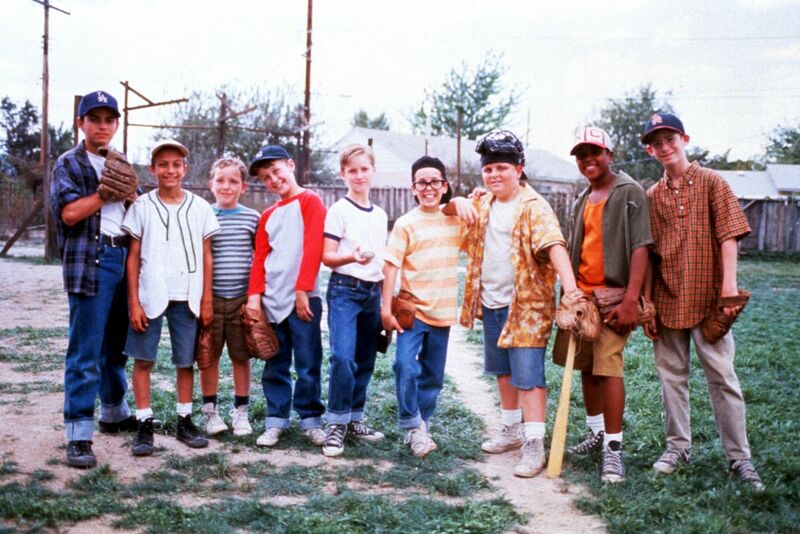 Orlando was basically the Benny “the jet” Rodriguez of his group: the best of all of them, who went on to play bigger and better games, as Scotty Smalls described it in the movie. El Duque didn’t pitch in these pickup games because it wouldn’t have been fair to the other players, but he hit and played the field. In 1997 Livan got the call to the show – and he was impressive, to say the least. He started the year with a 9-0 record, which was the best start from a rookie pitcher since Whitey Ford in 1950. 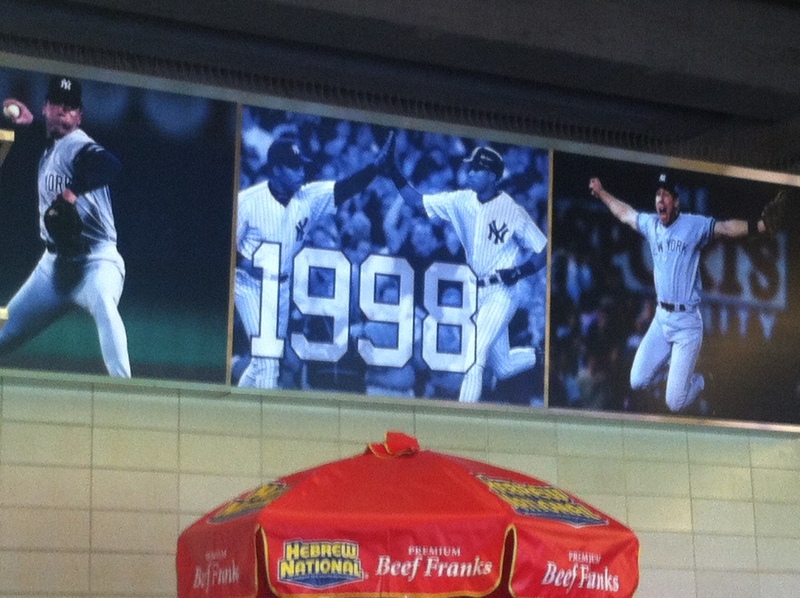 The Marlins captured the National League Wild Card in ’97, and Livan pitched brilliantly. Brilliant, in fact, was the operative word. In Game 5 of the National League Championship Series he went the distance and pitched the Marlins to a 2-1 win, striking out 15 Atlanta Braves along the way. He took advantage of home plate umpire Eric Gregg’s Grand Canyon-like strike zone. Livan’s 15 strikeouts in Game 5 set an NLCS record for most Ks in a single game. He had also picked up the W in Florida’s 5-2 victory in Game 3. When it was all said and done, he was named NLCS Most Valuable Player. El Duque watched most of Livan’s excellence from back in Cuba. He was proud his brother was succeeding, but felt bittersweet about it. Orlando thought he could’ve been in the same position Livan was in: playing baseball freely. He listened to Game 7 of the World Series on the radio, and rejoiced when the Marlins walked off to win the title. But after Livan became a winner, El Duque’s thought process changed; he considered defecting himself. Cuba’s relations with the Catholic Church improved in ’97. 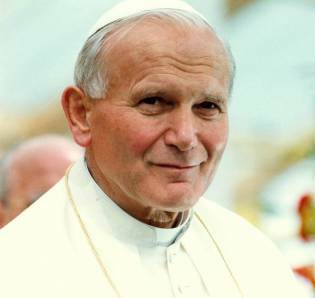 Pope John Paul II visited the island and President Castro allowed the Christmas holiday to legally be celebrated in Cuba for the first time since 1960. El Duque decided that, since everyone would be preoccupied with the holiday, he would stage his escape on Christmas night; the members of the Coast Guard wouldn’t be as alert and he’d be able to narrowly depart. His best friend Osmany Lorenzo helped orchestrate his flight from the island. But, give an assist to the Pope. Just because El Duque decided he was fleeing Cuba didn’t make the idea of defecting any less scary. A study showed that between 1959 and 1994 an estimated 16,000 people died at sea attempting to leave Cuba for the United States. Orlando could’ve made it to the U.S.A. or he could’ve become just another statistic. He also had to leave his mother and two daughters behind, which pained him. On Christmas night ’97 Orlando, his (now second) wife Noris, Lorenzo, and a smattering of other escapees set off for Caibarien – a city in Cuba where many defectors went to try and leave the island. They left Caibarien in a small fishing boat at 7 a.m. on Dec. 26, and had to hit the deck as to not be seen upon departure. 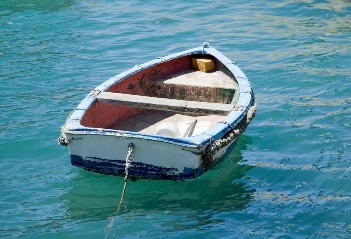 If hiding face down in order to leave the island wasn’t bad enough, the motor on the boat stalled not long after they left, and thus the owner of the boat wanted to turn back. El Duque protested, and the man swam into the water to fix the engine. After he managed to correct the malfunction, they continued on. Jeesh. Not as simple as just speed-boating away. The boat took El Duque and the group of runaways to a Bahamian island called Anguilla Cay. There they were to await another boat that was to come and ferry them to the U.S.A.
Seemingly everything was working out, as the first part of the plan had been executed, but they weren’t in the clear just yet. The second boat never came. 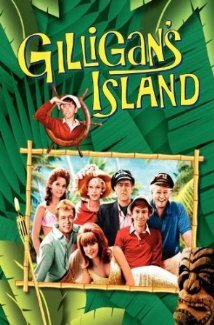 The group was basically stuck, Gilligan’s Island style waiting for help that wasn’t showing up. El Duque’s wife Noris even noticed makeshift crosses on the island – figuring they were graves. People had come to Anguilla Cay and never left. The thought struck terror into Orlando and everyone involved. Four days passed before the Coast Guard discovered them and brought them to Nassau, Bahamas. If you were a Cuban refugee, the Bahamas were not where you wanted to be. Cuba had a treaty with the Bahamas stating all refugees in the Bahamas were to be extradited back over to Cuba. When the Coast Guard brought El Duque to the Bahamas, they arrested him. But he used his phone call wisely. He dialed up Cubas, who was able to help him. He set up a press conference on Orlando’s behalf, and El Duque finally got to tell his side of the story to the media and the world; that he was trying to reach the United States in hopes of obtaining the freedoms and rights that were stolen from him in Cuba. By Cubas’s doing, Orlando and his wife were approved for visas. He made sure Lorenzo, his friend, was approved for one as well. From there El Duque gained residency in Costa Rica, thus making him eligible to become an MLB free agent. Just like Livan, El Duque was set up. But what team would get his services? 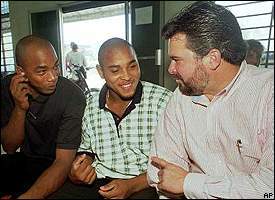 Scouts from multiple MLB teams attended an El Duque tryout staged by Cubas. Orlando wasn’t particularly lighting up the radar guns, topping out around 88-90 mph, but the fact that he wasn’t throwing hard didn’t negate his value. Gordon Blakeley, a scout for the Yankees, took an interest in him. 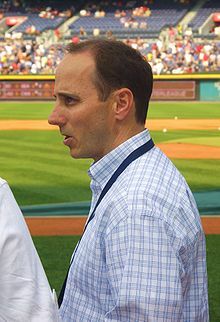 However, General Manager Brian Cashman was a bit iffy about signing him, coming off a bust in the form of inking Japanese pitcher Hideki Irabu. Blakeley assured him not to be afraid to go after him – and added if the Yankees didn’t grab El Duque, they could’ve been missing out on a potential Cy Young Award winner. 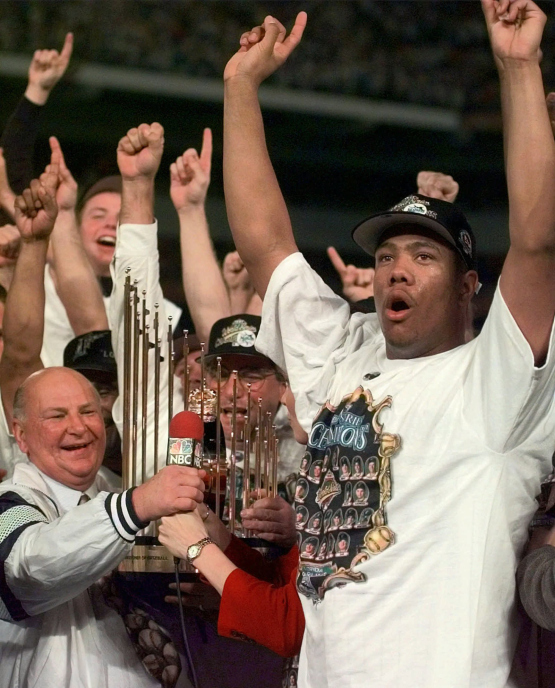 El Duque proclaimed his Yankee fandom, and when the Bombers offered him four years and $6.6 million, he gladly took it. 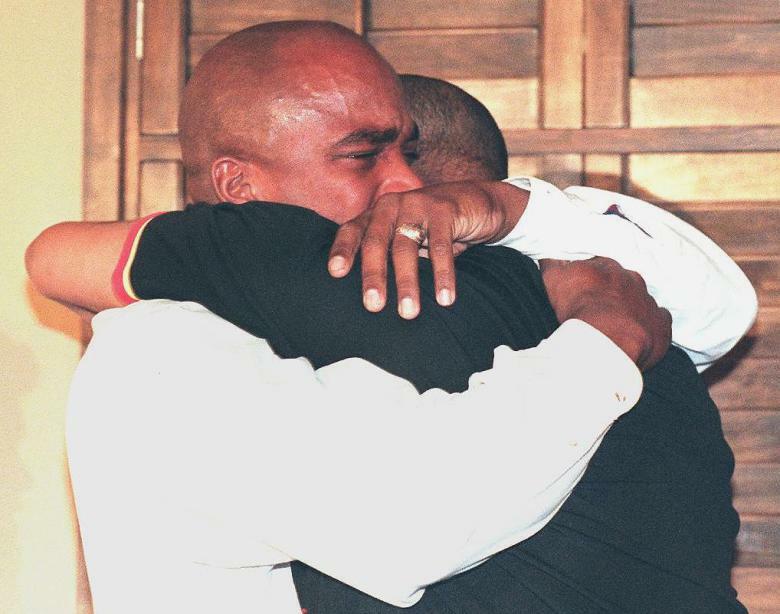 When everything fell into place for El Duque, he eventually reconnected with Livan. They attended a press conference together, and when they saw each other they embraced. They cried tears of joy. They had a Kodak moment, if you will. On June 3, 1998 Orlando made his MLB debut at Yankee Stadium. He was nervous, but when he looked up to the stands walking in from taking his warm ups in the bullpen – and saw Cuban flags fluttering around in the stadium’s upper deck – he calmed down. The show of support even brought tears to his eyes. The first batter he faced in MLB was Quinton McCracken of the Tampa Bay Devil Rays. El Duque pitched seven innings, and puzzled every hitter he faced, giving up just one earned run on five hits. He walked two and struck out seven on the way to his first big league win, the Yanks pounding Tampa Bay 7-1. 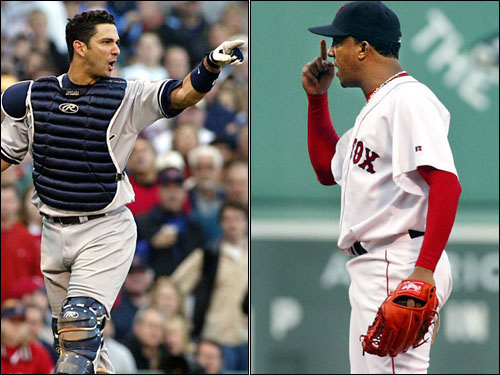 Jorge Posada mostly caught El Duque in 1998. And in looking at his record and ERA on paper, one would think they had an easy go of it most of the time when they went to work: Orlando finished 1998 with a 12-4 clip and an earned run average of 3.13. Yet, much like El Duque’s path to the US, it wasn’t smooth sailing through calm seas. “He wasn’t easy to catch,” Posada said, adding Orlando would shake him off a lot. “I’d go to the mound … Orlando, what do you want to throw? Apparently El Duque didn’t want to throw a fastball when Posada called it. He wanted to throw a fastball when a hitter least expected it, to get inside his head. Very tactical, El Duque was. His numbers and approach gave him a fourth place finish, in fact, for ’98 American League Rookie of the Year. 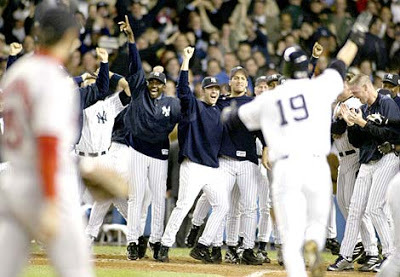 The Yankees won a record 114 regular season games in 1998, and made it to the ALCS, where they were pitted up against the team that had eliminated them the year before, the Cleveland Indians. 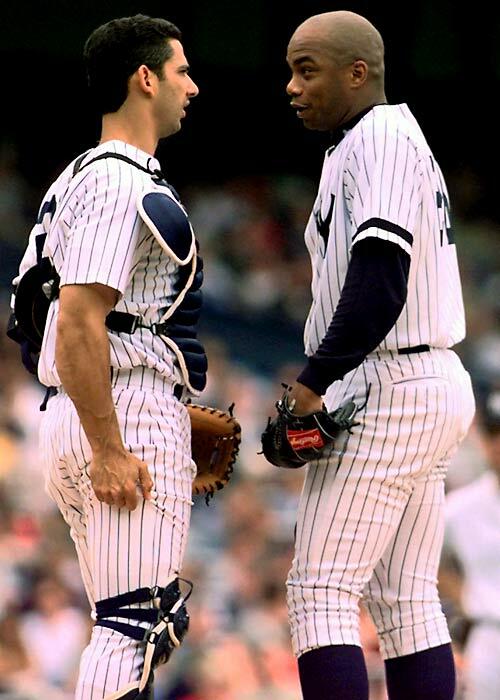 Down two games to one, they turned to El Duque in Game 4, who came up with a spectacular performance of seven shutout innings to lead the Yankees to a 4-0 win, keeping the pinstripers from going down 3-1 in the series. 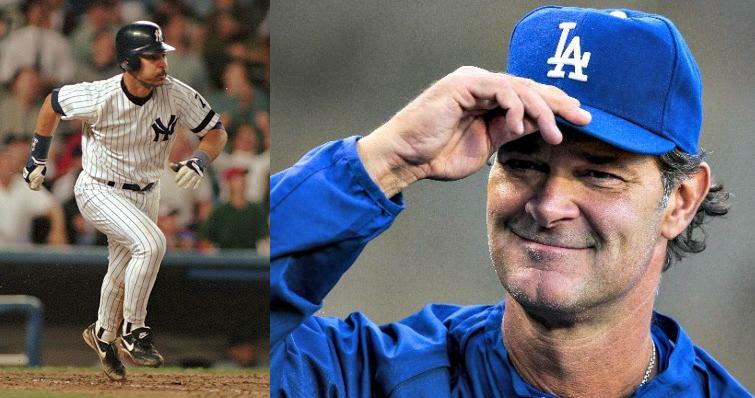 Unlike Livan, Orlando didn’t capture the LCS MVP in ’98 – that honor went to David Wells. 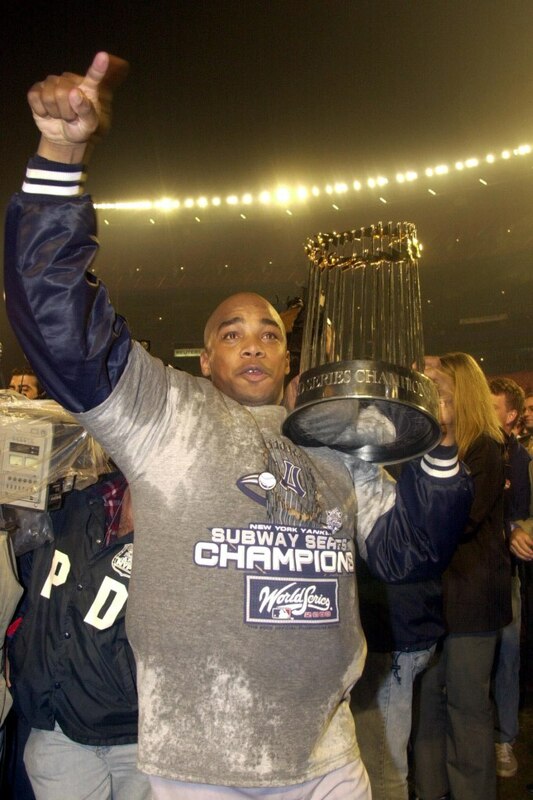 But El Duque did pick up the award the next year, winning the ALCS MVP in 1999 after the Yankees beat the Boston Red Sox in five. El Duque went on to start Game 2 of the ’98 fall classic against the San Diego Padres. The Yankees were up 1-0 in the series thanks to some grand Game 1 heroics off the bat of Tino Martinez. The Cuban import made sure the Yanks stayed on point, tossing seven innings and letting up just one earned run on six hits. He walked three and fanned seven on the way to a 9-3 Yankee win. “He looked like a veteran of 15, 20 years,” teammate Mariano Rivera said. The Yankees continued their assault on the Padres in Game 3 of the World Series, teetering on the brink of a world title. Yet El Duque’s thoughts were elsewhere. He couldn’t get his daughters, his ex-wife and his mother off his mind, thinking about their hardships back home. Then finally, he got his chance to reunite with his family. A woman by the name of Pamela Falk lobbied to bring his daughters, his mother and his daughters’ mother to the states. Falk used the positive relations between Cuba and the Catholic Church to her advantage, reaching out to New York Cardinal Archbishop John O’Connor. And the rest was history. El Duque’s family was cleared to embark for the Big Apple. 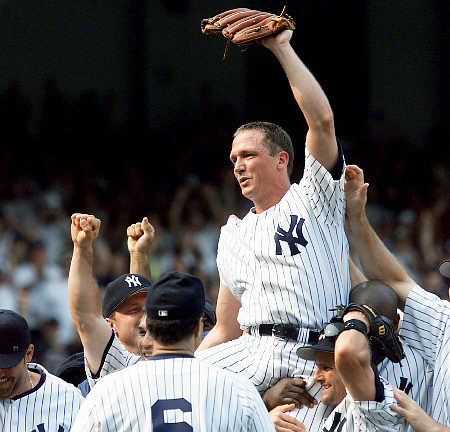 The Yankees swept the Padres in the 1998 World Series, giving the franchise its 24th world championship in history. El Duque found out his family was coming the night the Yanks clinched the series. The next night his family landed at the Teterboro airport in New Jersey. El Duque walked right up the runway, to the plane to greet his family. He said he wasn’t nervous, just excited; he hadn’t seen his girls in about a year. “I’m complete,” he said, embracing his daughters on the steps of the plane. “Finally happy. His daughters then rode with him in the victory parade in New York City the following day. His wife Noris couldn’t believe toilet paper rained down from the skyscrapers into the streets of New York – being that in Cuba they didn’t even have toilet paper, whereas in New York it was being thrown from windows. Both Livan and Orlando went on to have careers in MLB that anyone would sign up for. El Duque won three more world titles (two more with the Yankees, 1999-2000; 2005 with the Chicago White Sox) while Livan pitched in over 500 games and became a two-time All-Star. Both are retired now, but maintain that sibling love. They live near each other in Miami, and both are doing well these days with their families. They can sit on the porch on hot summer nights and smoke fine Cuban cigars together, and share life stories from here on out; reflect on the good ol’ days pitching in the big leagues. Oh, and neither has since gone back to Cuba – and they’ll never have to. 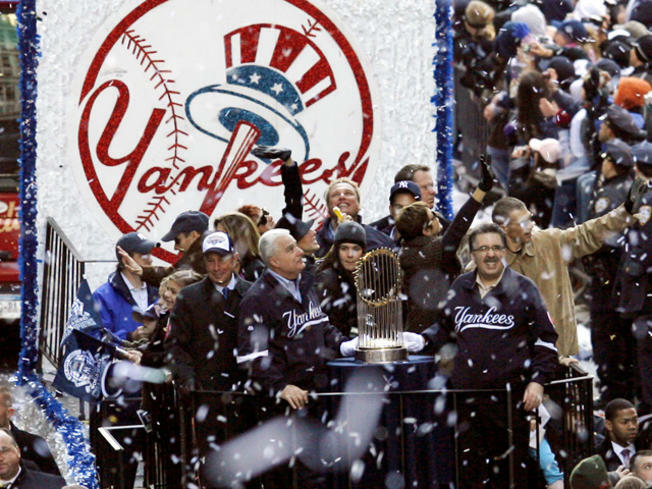 If you’re a Yankee fan, Oct. 16 holds a warm place in your heart. 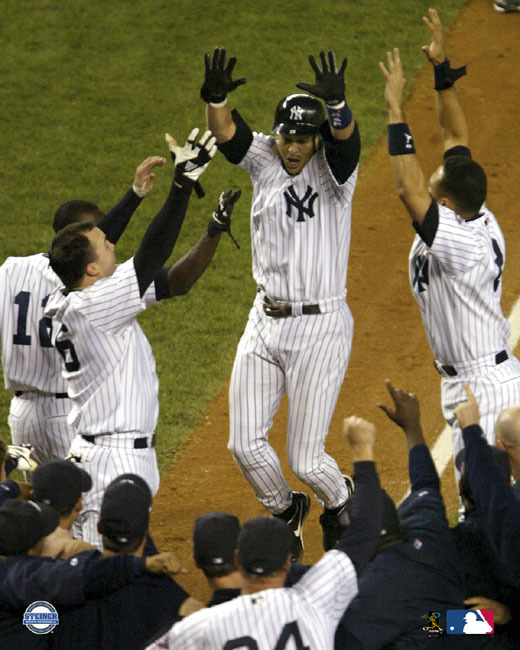 The memory of a mighty swing by Aaron Boone in the 11th inning of Game 7 of the 2003 American League Championship Series to crush the dreams of Red Sox Nation has held up, and will continue to hold up forever more. 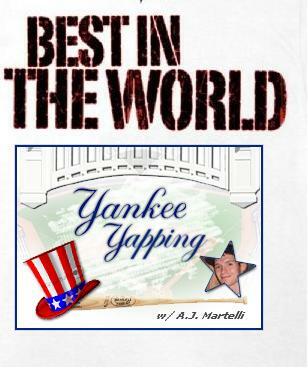 In honor of the 11th anniversary of this profound piece of Yankee history, this writer is going to take you on a ride back to the past and muse about the goings-on of the 2003 Yankees-Red Sox saga; perhaps point some things out that didn’t necessarily meet the eye to the average fan. It took a long time before the Yanks and BoSox reached the climactic Boone game. A really long time, in fact. 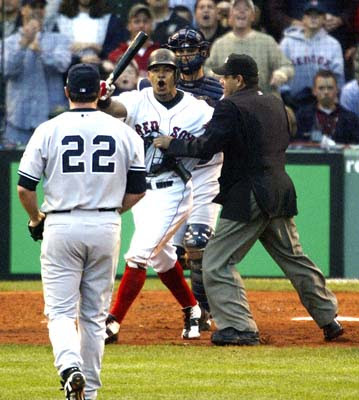 The two hated rivals had faced each other 25 times in ‘03 leading up to Game 7 of the ALCS. Their 26th meeting in the decisive game was historic, in the sense that no two teams – in any sport – had faced each other more times in a single season. But so much more happened before Game 7. 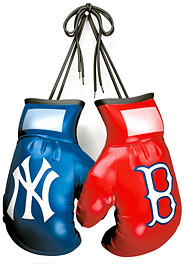 In squaring off against each other so many times, the Yankees and Red Sox had generated some disdain for one another. 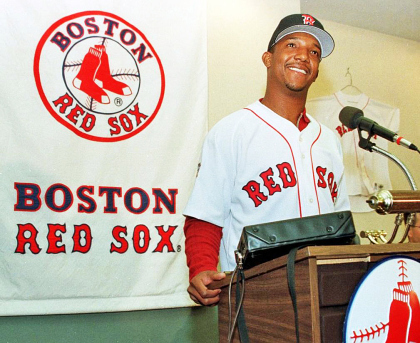 Earlier in the season on July 7 in the Bronx, Pedro Martinez, Boston’s ace, had plunked both Alfonso Soriano and Derek Jeter – bean balls that were so intense they sent the two hitters at the top of the Yankees’ batting order to the hospital. Jeter was hammered on his right hand while Soriano suffered a shot on his left hand. The after effects of the HBPs were so great that, after more than two weeks later, both hitters felt the pain of Martinez’s missed location; the captain’s hand was still swollen and Fonsy felt some aches just by checking his swing. Roger Clemens, the Yankee ace, in return struck Red Sox first baseman and team ringleader Kevin Millar with a pitch. Millar, a colorful and outspoken player who had urged his team to “Cowboy Up,” would later express anger towards Clemens for the Yankees act of retaliation. Red Sox CEO Larry Lucchino then got his jab in, giving the Yankees a moniker in homage to the Star Wars franchise. He dubbed the Bronx Bombers “The Evil Empire.” Yankee Universe happily (or at least sarcastically) welcomed the nickname. So was Jeter Darth Vader? Sure, that makes sense. The physical and verbal blows during the regular season were only the beginning, laying the groundwork for what was to come in the playoffs. The Yankees finished 2003 with a record of 101-61, six games ahead of Boston for the AL East. The 95-67 Red Sox captured the AL Wild Card – keep in mind that in ’03 there was no play-in game; the BoSox were automatically in the eight-team postseason tournament without having to fight their way in the door. Most fans may not remember that the ’03 Yankees-Red Sox ALCS clash wouldn’t have happened if the Oakland A’s didn’t collapse. In the ALDS the A’s handed Boston a 5-4 loss in Game 1; Oakland winning in the 12th on a walk-off bunt single by catcher Ramon Hernandez. Game 2 wasn’t any better for the Red Sox, as the A’s poured it on and beat Boston 5-1 – Oakland was only one win away from the next round. Yet, maybe in the spirit of some foreshadowing, the Red Sox fought back. Boston won Game 3, 2-0. They then took Game 4 by a count of 5-4, and completed the comeback with a 4-3 win in Game 5. 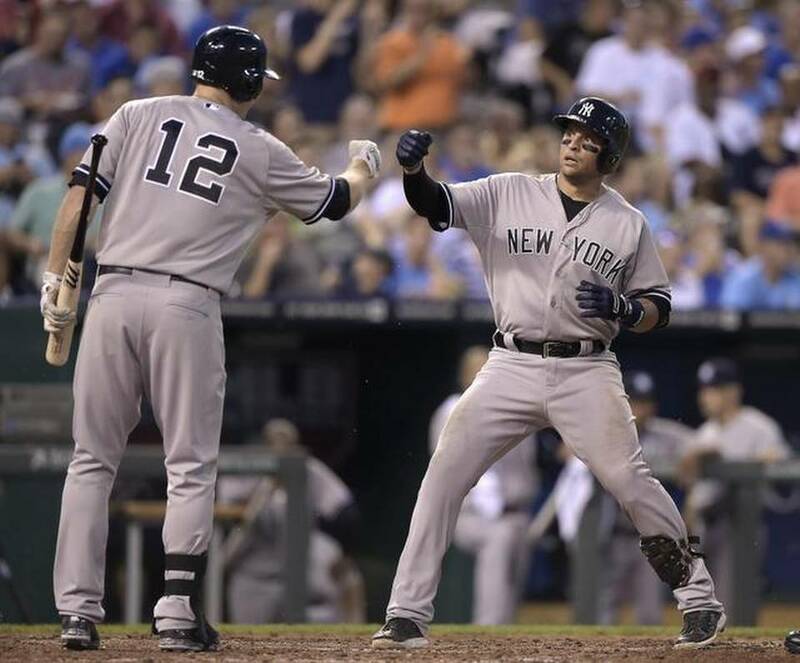 The Yankees were already waiting for the winner of the Boston-Oakland series, having disposed of the Minnesota Twins in four games to reach the League Championship Series; the Yanks outscoring the Twins 16-6 in their divisional round. The rally vs. the A’s and the thrashing of the Twins set the New York-Boston rivalry up for an epic showdown. Yes, the Baseball gods had done it again. Players on both sides knew the World Series was not just at stake, but bragging rights were up for grabs and in a lot of ways, the ending or the continuation of Curse of the Bambino was on the line. “Everyone says, ‘we played them towards the end of the year, does it get any bigger than that?’ Well, yeah it does. And this is it,” Jeter told MLB before the ALCS. The Red Sox took Game 1, beating the Yankees 5-2. However, the first salvo seemed to be fired in the seventh inning when reliever Jeff Nelson hit Red Sox big man David Ortiz with a pitch. The Yanks went on to take Game 2 with a 6-2 win, but in terms of the HBP battle, Boston punched back. Future hero Boone was beaned by Red Sox starter Derek Lowe and Soriano was plunked by Bronson Arroyo. The ALCS was split 1-1, tensions were at an all-time high, and the teams were beginning to get rather physical. What’s the worst that could happen in Game 3? 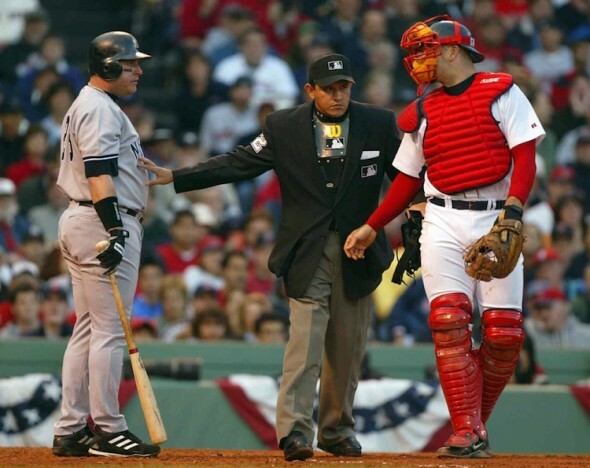 The energy level at Fenway Park on Oct. 11, 2003 was off the charts – not that I was there, but listening to the words of the players and examining everything that had led up to Game 3, everyone from the fans to the media was on edge. 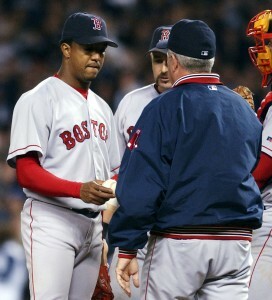 Ortiz couldn’t help but laugh at Millar’s zeal, but a few short innings later, no one was laughing. In the top of the fourth, Martinez let up an RBI ground rule double to Nick Johnson, which gave the Yankees a 3-2 lead. The very next hitter, outfielder Karim Garcia, took a pitch behind his head which appeared to nick him on the shoulder for another hit-by-pitch. Soriano came up next and grounded into a 6-4-3 double play, though another Yankee run scored. Leaving the field, Garcia had some choice words for the Red Sox and a heated exchange ensued. The Yankees, in a nutshell, were unhappy with Martinez’s antics, and had no problem expressing their grief. Yet somehow the umpires settled matters down. That is, until the bottom half of the inning. Clemens delivered a high and tight 1-2 fastball to hothead Manny Ramirez, who believed there was intent behind the pitch – when clearly there wasn’t. Ramirez angrily tried to approach Clemens with the bat in his hand before being subdued by his teammates when the benches cleared. 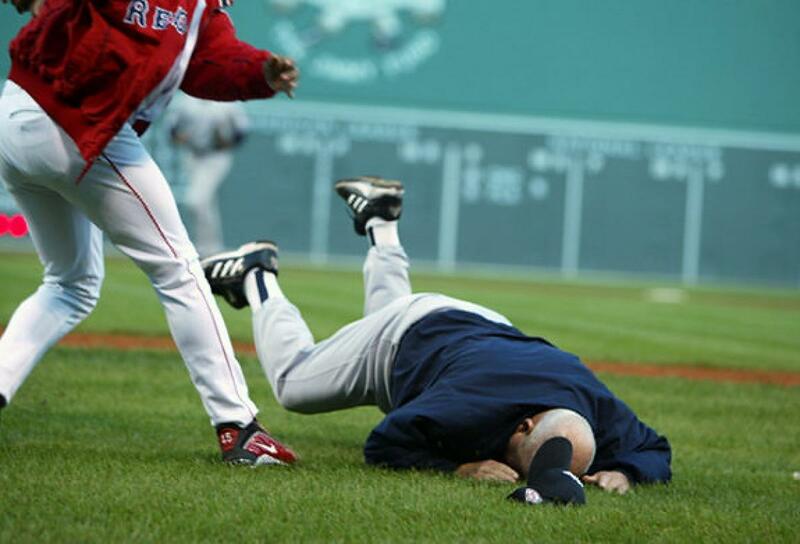 Needless to say all Hell broke loose at Fenway, but the victim of the fracas wound up being a coach, not a player. 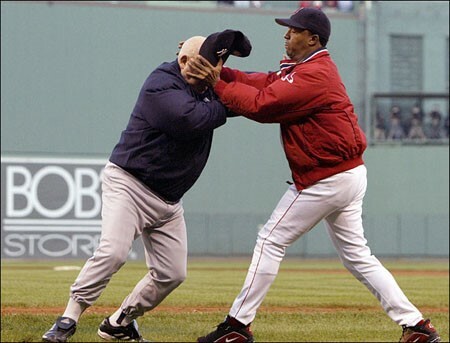 Yankee bench coach, the late Don Zimmer (72 at the time) lunged towards Martinez, who grabbed him by the head and force-fed him to the ground. 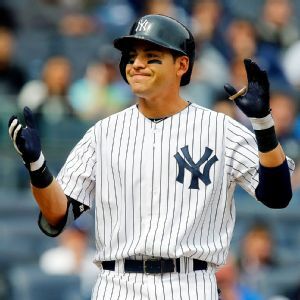 The Yankee trainers were able to help him up and get him back into the dugout free of serious injury, but the ugly incident further proved how the Yankees and Red Sox were at extreme odds. Eventually the situation calmed, and Clemens fanned Ramirez with a fastball on the outer part of the plate to get the game going again; the players back to their professional ways. But just when it seemed everything was back to normal, it became a mess again. An altercation broke out in the Yankee bullpen in right field between Nelson and a Boston grounds crew member, Paul Williams. Garcia, stationed in right field, also sampled the action. 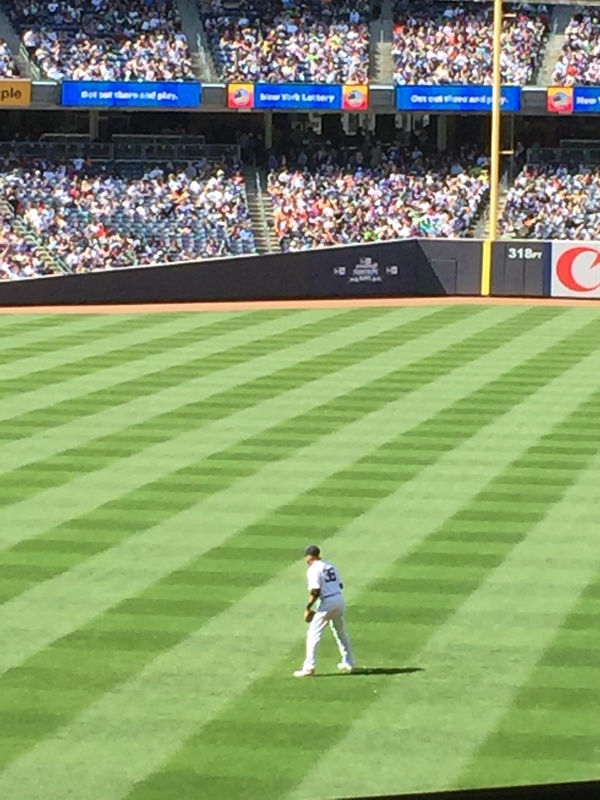 He hopped the wall into the ‘pen and got involved; a scrum of police officers, security officials, and Yankee relief pitchers creating an unpretty scene. Days later the Yankees’ personnel, notably president Randy Levine, defended the New York relief corps. Meanwhile the Red Sox brass were less than happy, and went to bat for their groundskeeper, explaining that he did nothing wrong. The Yankee side relented, though, and contended Williams had antagonized Nelson, and wanted an apology issued from the Boston side. Once the roller coaster ride finally ended, the Yankees escaped with a 4-3 win and a 2-1 ALCS lead. The reaction by a couple of individuals after Game 3, however, was unlike anything this writer had ever seen in sports – ever. 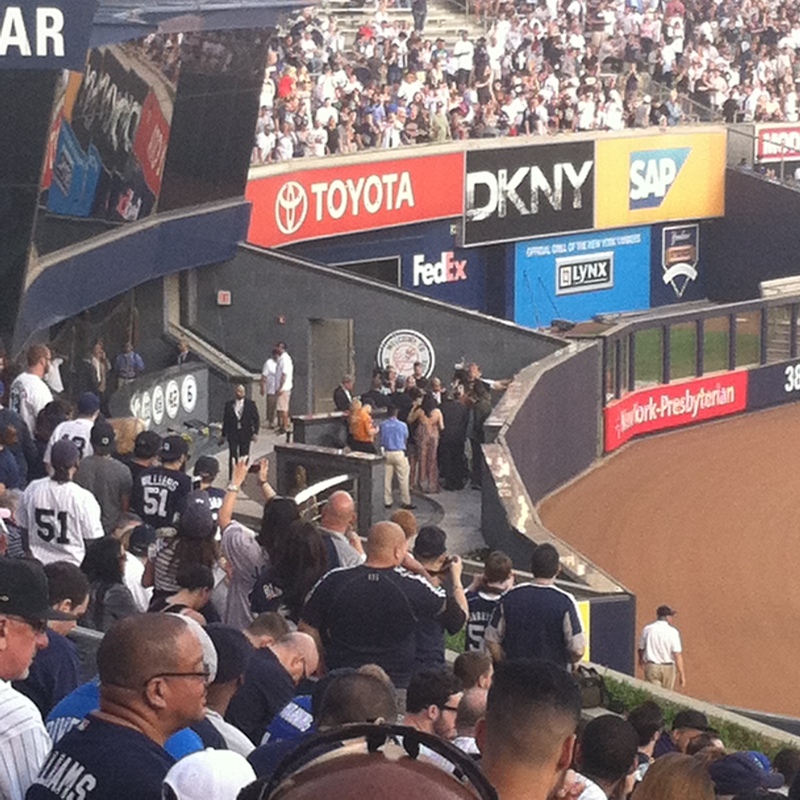 That would’ve been quite a sight: the Red Sox ace being cuffed and escorted off the Yankee Stadium diamond by New York’s finest. The war raged on. The Red Sox won Game 4, 3-2, to even the series, then the Yankees grabbed Game 5 with a 4-2 win, taking a 3-2 series lead back to the Bronx. The Red Sox raised the eyebrows of the world by beating the Yanks 9-6 in Game 6, overcoming both Andy Pettitte and a raucous Yankee Stadium crowd. Game 7. Roger and Pedro, again. He we are. 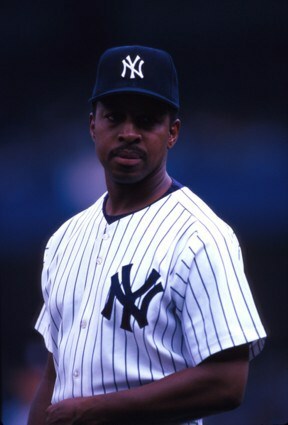 Before Game 7 took place, Boston sportswriter Howard Bryant caught up with Willie Randolph, a longtime pinstriper who had endured the “Bronx Zoo” era of the late 1970s as a player, and enjoyed the year-by-year success of the dynasty of the ‘90s as the Yankees’ third base coach. Bryant asked Randolph what he thought about the deciding game. What do you think? But in the early going, it was different – a lot different. Clemens struggled, surrendering a second inning, two-run home run to Trot Nixon. Later in the frame a throwing error by starting third baseman Enrique Wilson allowed Jason Varitek to come in, making it 3-0 Red Sox. Clemens pitched into the fourth, although “the rocket” was all but gassed by then. Millar backed up some of his talking by sending Clemens’s offering into the seats in left field, a solo blast to give the Red Sox a 4-0 lead. Yankee manager Joe Torre had told starter Mike Mussina that he might use him out of the bullpen, which would’ve been the first time in his MLB career he would’ve pitched in relief. A caveat, though: Torre had told “Moose” that, if he were to use him, he’d bring him into the game when nobody was on base. That plan went by the wayside, as Mussina was summoned to mop up a first-and-third, no out mess. Number 35, cleanup on aisle four. Mussina was brilliant, striking out Varitek by utilizing his patented knuckle curveball, and followed by getting Johnny Damon to bounce into an unassisted 6-3 double play to skim out of further peril. 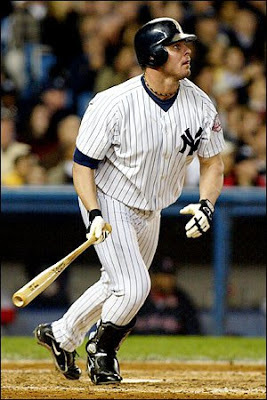 Jason Giambi, whom the Yankees had acquired after the fall of the dynasty in 2001, kept the Yanks close with two solo home runs off Martinez – a bomb in the fifth and another in the seventh. The Yankees trimmed the deficit to 4-2 but in the top of the eighth, Ortiz played pepper with the short porch seats, homering off another starter playing the role of reliever that night, David Wells. The solo job (that left Wells in utter disgust, putting it mildly) gave the Red Sox a run right back, making it 5-2 in favor of Boston. Now Martinez, his pitch count over 100, came out to toss the bottom half of the eighth with a three-run lead, and while most members of Red Sox Nation thought this might ultimately be the year the Curse of the Bambino would be vanquished, some fans back in Beantown were not so convinced. “When Pedro came back out in the eighth inning, we all started screaming ‘No! No! You can’t be doing it!’ I mean, fans think they know more than the managers – and often we don’t – but at that point everybody knew the pitch counts that Pedro would suddenly fall off the cliff, if he were over that pitch count. That dread was well-founded and soon realized. Jeter pounded a one-out double off the wall in right field. 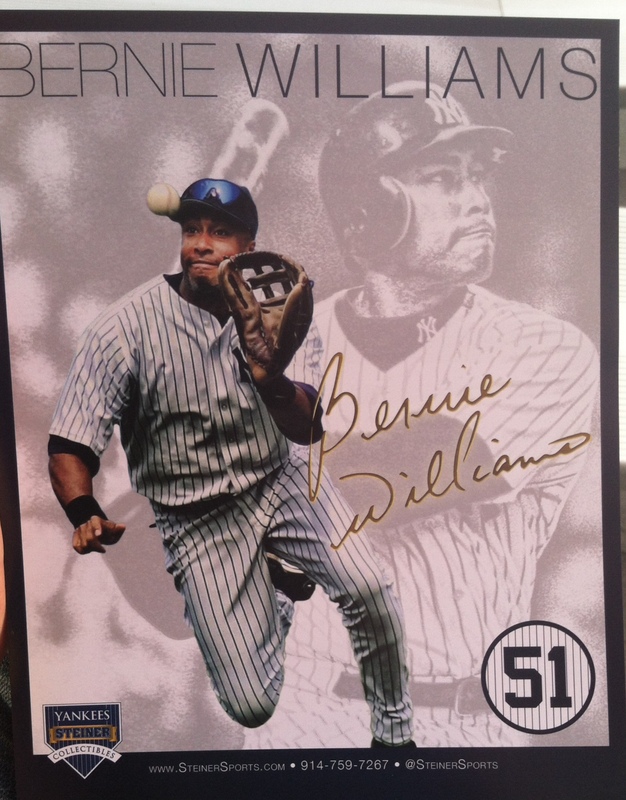 Bernie Williams brought him in with a well-struck single in front of Damon in centerfield, cutting Boston’s lead to 5-3. The RBI base hit prompted a mound visit from Little, who shockingly stuck with his ace; Martinez not leaving the mound after the powwow, even with hard-throwing righty Mike Timlin and lefty specialist Alan Embree going double-barreled in the Red Sox bullpen. Hideki Matsui, a left-handed hitter, was due up next. Embree would have been the obvious choice to match up with Matsui, but Embree could only watch from the ‘pen as Matsui ripped a ground-rule double down the line in right field off a tired Martinez, passing the baton to Posada. 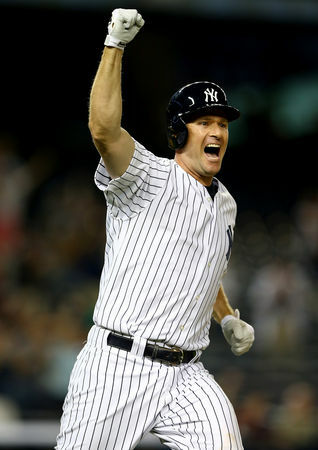 The switch-hitting Yankee catcher, batting from the left side, punched a blooper into centerfield, falling in the middle of shortstop Nomar Garciaparra, second baseman Todd Walker and Damon to bring both Williams and Matsui to the plate. Posada reached second base – getting the last laugh off Martinez, thinking back to their chinwag in Game 3 – and Game 7 was tied, 5-5. 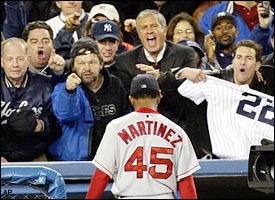 Martinez then departed to a Bronx cheer; there was no undoing the damage the Yankees had done. The decision to keep Martinez in the ballgame haunted Red Sox Nation for a year. Fans were outraged at Little for not removing Martinez before the game turned, but Martinez – and others – have defended the move. “I was just trying to do it,” Martinez said. “That’s what a lot of people don’t understand. Why didn’t Pedro give away the ball? Well, they didn’t ask me to give away the ball. They asked me if I could face the guys. I said yes! Of course I can! I’m in the middle of the game; I’m here to do this. Why Did You Keep Pedro In? We couldn’t have got there without you. We were five outs away from a win. You were the smartest guy in the stadium. But why did you keep Pedro in? We don’t believe in those curses. We could care less about old Harry’s sin. And it looked like he could hang in. The guys always want to stay in. We’d say Pedro had smoked them again! We know you’ll never do it again. With each move you had out-managed Torre. Yankee cheering was growing quite thin. And we hardly know how to begin. The crew found the cowboy within. We say, why did you keep Pedro in? What probably gets lost in the shuffle was the fact that Boone had come into the game as a pinch-runner during that eventful bottom of the eighth. He took over at third base for Wilson on defense, who was surely not the Yankee fans’ favorite player that evening, because remember – he committed that costly error in the third which led to a Boston run. 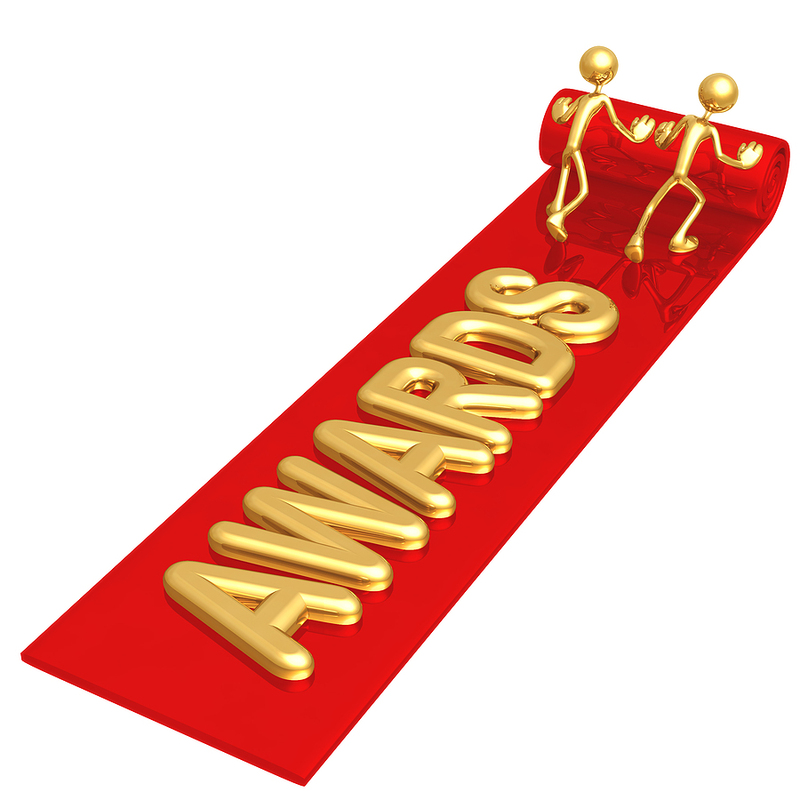 “The odds were favoring a hitter in a slump. Because a hitter in a slump’s timing is already off. A knuckleball pitcher throws your timing off. Put a guy with bad timing, and add more bad timing to him, suddenly he has good timing – it’s a zero sum game in terms of timing. Sure enough, the timing worked out. Everything worked out. Boone slaughtered Wakefield’s first pitch for a home run deep into the New York sky; the ball landing behind the wall in left field to give the Yanks a 6-5 win, sending the Bronx Bombers to their 39th World Series in franchise history. 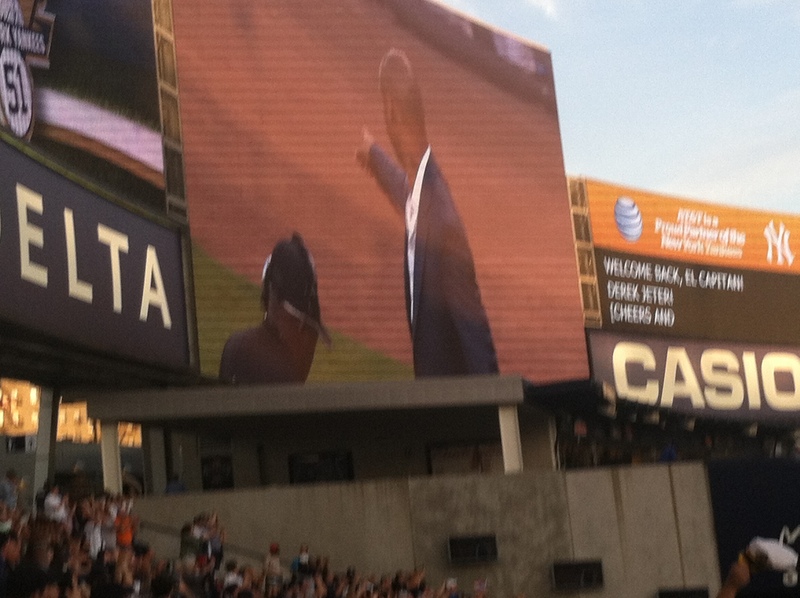 Pandemonium commenced; Yankees Stadium completely erupted, became unglued. The Red Sox were crushed, the pennant was won, and the Curse of the Bambino was alive and well. What’s also not well known is that, after the bliss of a love-fest at home plate for Boone and the champagne celebration; after the presentation of the Will Harridge Award, and after Rivera was named ALCS MVP, the Yankee players made a pilgrimage out to Monument Park, donned with championship hats soaked in champagne. 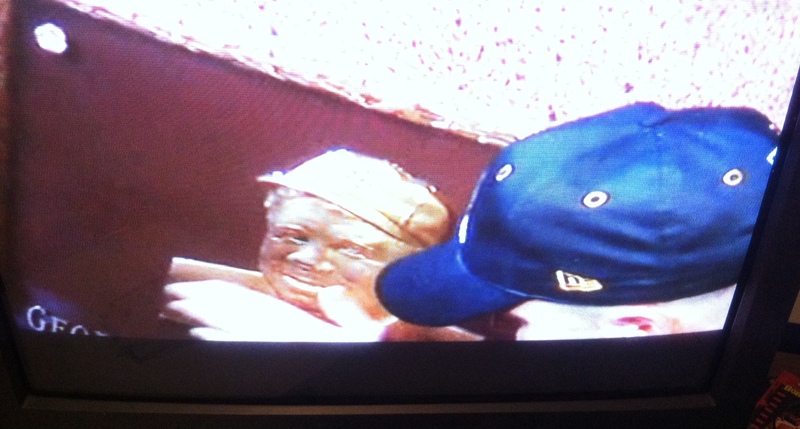 Specifically, they made a visit to Babe Ruth’s monument. “Look, he’s smiling! 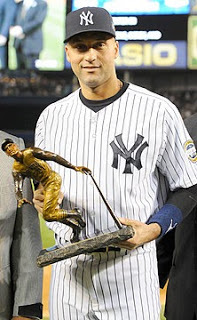 He’s smiling!” the Yankees gleefully exclaimed, whilst rubbing the forehead of the Great Bambino’s likeness on the monument. 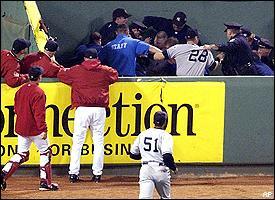 While Little was quickly fired by the Red Sox and the image of Boone’s home run was tattooed on the minds of Red Sox fans everywhere, the Yanks were in the 2003 fall classic, matched up with the Florida Marlins – who Chicago Cubs fans felt had snaked their way in on account of fan interference in the ’03 NLCS. The Cubs had been winning 3-0 in the eighth inning of Game 6, and had they held on would’ve punched their first ticket to the World Series since 1945. 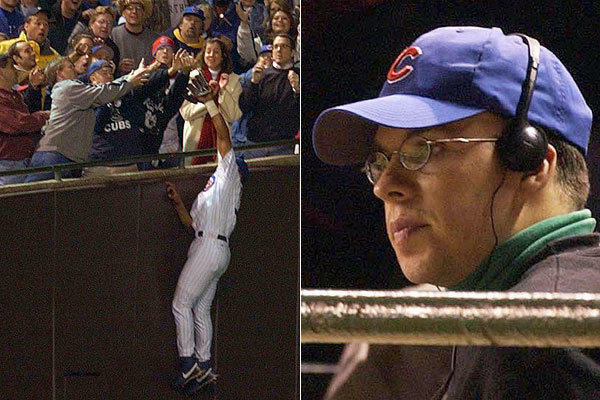 Steve Bartman, a Cubs fan sitting in the front row of the left field stands, accidently reached for a foul ball that was perhaps catchable for left fielder Moises Alou near the wall. Bartman got his hand on it, and the ball took a wrong bounce back into the seats, not going for an out – much to the infuriation of not only Alou, but every Cubs fan in the ballpark. Almost right after the gaffe, the Marlins wound up rallying to score eight runs to win the game, and carried on to win Game 7 by a count of 9-6. Not unlike the Red Sox and their Curse of the Bambino, the Cubs had the Curse of the Billy Goat hanging over their heads – a long story about a Chicago bar owner, who in 1945 was asked to leave Wrigley Field because the stench of the pet goat he brought to the park was bothering other fans. Subsequently the Cubs haven’t won the World Series since 1908. 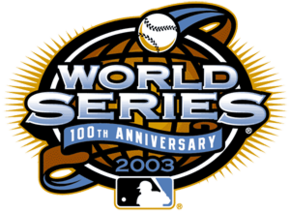 I can’t help but think how the ’03 World Series would’ve gone had it been Yankees-Cubs, the matchup America wanted to see, instead of Yankees-Marlins – a bland fall classic that ended in a six-game series win for the fish. 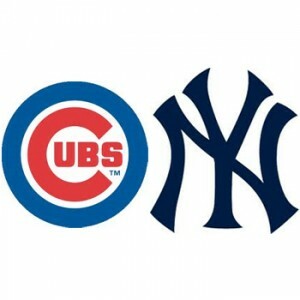 Would the Yankees have been able to beat the 1-2 punch of Kerry Wood and Mark Prior? Would they have been able to silence the bat of Sammy Sosa, who just five seasons earlier had smashed 66 home runs, and had hit 40 during the ’03 regular season? Would the Curse of the Billy Goat been upheld in the fall classic, the same way the Yanks kept up the Curse of the Bambino in the ALCS? Would 2003 have been the year of title number 27 in the Bronx, if only the Yankees faced the Cubs and not the pesky Marlins, equipped with the likes of scrappers Ivan “Pudge” Rodriguez, Josh Beckett and Juan Pierre? To this writer, though, the ALCS was the World Series in 2003. Passion, heat, unmitigated physicality, the will to win intense rivalry games, and excitement that puts you on the edge of your seat – you want nothing more than that as a fan, or at this stage in my life as a journalist. Hopefully we see it again, in baseball, sometime soon. 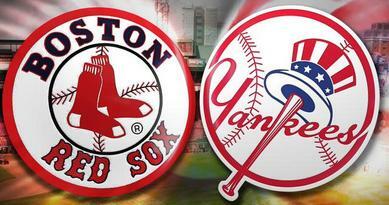 And hopefully, again, it’s between the Yankees and Red Sox. SOURCES FOR THIS PIECE: Websites: Baseball Almanac, Baseball Reference.